NEW GLAMBERT SINGLE --- Adam Lambert has just released an initial teaser of his upcoming single “Ghost Town” from his highly anticipated third album Original High, due out later this year. With much anticipation surrounding the single that’s due next month, the American Idol-star treated his fans – better known as Glamberts – to a sample of the whistle- laden house track. The 33-year-old took to Instagram to reveal the snippet, and the post has already received more than 20,000 views. Back in January , talking about the new album, Lambert made it clear that he’s gone in a new direction, and the sneak-peek of “Ghost Town” definitely confirms this. "I think people are going to be really surprised," the performer said at the time. "The album feels like a new era for me -- emotionally, lyrically, sonically. It feels fresh, it feels new. It's still me. It's still stuff that fans know and love but it's a new chapter 100 percent." Earlier this month, on his birthday, he announced the title of the new album as well as its producers. "Thank you for all the birthday love! Thrilled to announce the title of my upcoming album: The Original High. The album is executive produced by Max Martin and Shellback, with 1st single out in April." 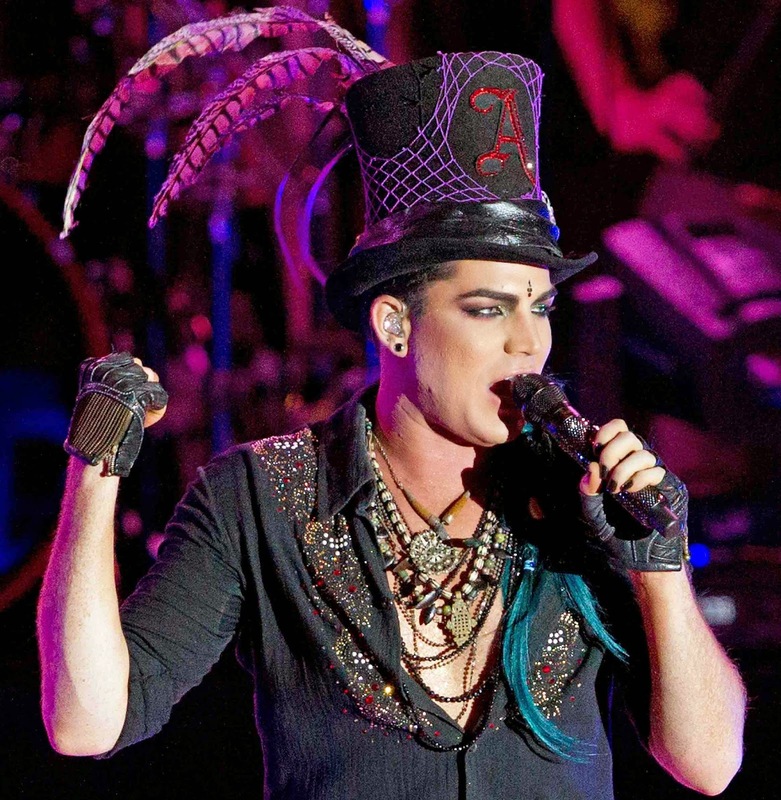 Lambert who first rose to stardom on American Idol, and has had major success in the with his previous two albums, For Your Entertainment (2009) and Trespassing (2012), has also toured with Queen twice, filling in for the band's iconic front man, the late- Freddie Mercury. Lambert had a good start to the year when Queen and Adam Lambert were watched by over 13 million people on BBC, I predict it’s about to get even better. Odd that the single name is the same as the best track on the new Madonna album Rebel Heart. Just saying! 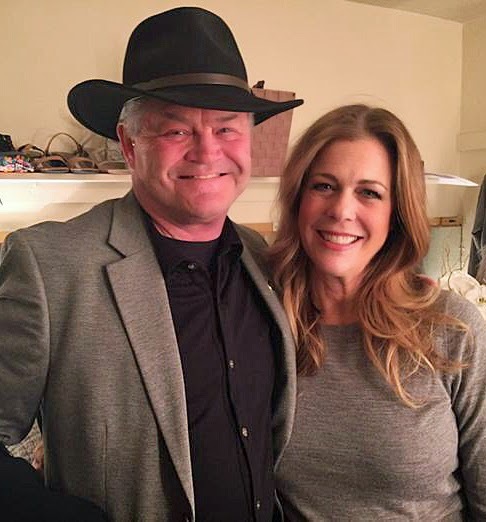 FISHES IN THE DARK --- Monkee-Micky Dolenz showed up at last Thursday’s performance (at The Court Theatre) of the hit Larry David-play Fish In The Dark and greeted Rita Wilson backstage. The two performed last year in L. A. and a repeat performance may be in the offing. Dolenz appears at 54 Below in July for three shows. SHINER LEAVES THEM IN THE AISLES--- Talk about making a solid New York City debut. Singer Frank Shiner performed last week at Steve Walter’s Cutting Room and actually had two people faint during his performance. Ambulances and paramedics were called in, but the women were declared ok.
Shiner, who currently has a Top 10 AC record out, the title of his Bakerson/Universal album The Real Me, said he wanted to kill, but was glad everything worked out. A VIEW TO A KILL --- I watched The View yesterday for the first time since the other Rosie’s departure (with former-hostess Joy Behar on) and found several things interesting things: First: Whoopi remains in tight fisted control and the group, yet newcomer (sort of) Nicole Wallace is a close second. I still question whether the small-than-ever in studio audience even knows who Wallace is! When discussing Ted Cruz, Behar had a funny bon mot, saying she felt more of the audience knew who Penelope Cruz was than Ted …. funny stuff. Also, unflattering camera angles and Rose Perez mentioning most of her movie roles did not help. I still think the show is a sinking boat and while I love Whoopi, grab a view while you can as I doubt whether it'll make it to another year! Elton John, who just celebrated his 100th Million Dollar Piano in Las Vegas the other night (with Rocket's Tony king on hand), has called for a boycott of fashion designers Dolce & Gabbana after the company's principles came out against gay adoption. “We oppose gay adoptions. The only family is the traditional one. No chemical off springs and rented uterus. Life has a natural flow; there are things that should not be changed. John took to Instagram to criticize the designers who are both gay and had, at one time, been a couple.